Right now I am on the hunt for prints for my kitchen wall. I Love You Like Biscuits and Gravy is already on its way to my house. This fun vintage kissing booth print might find a home on the wall next to the biscuits and gravy. If not, it makes a fun decoration for Valentine's day too! 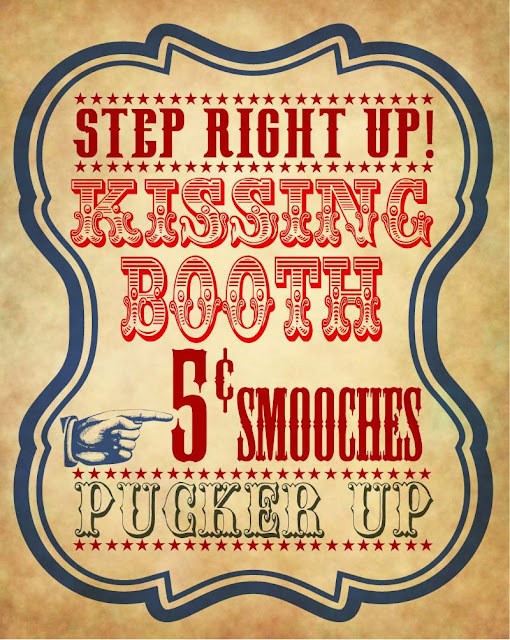 You can download your copy of the free printable vintage kissing booth poster over at A Geek In Glasses.